Egypt's President Abdel-Fattah El-Sisi attended side-by-side with Sudanese counterpart Omar Al-Bashir the closing ceremony of the second edition of the World Youth Forum in South Sinai's Sharm El-Sheikh. The closing ceremony of the forum, which ran from 3 to 6 November, will see an announcement of the recommendations of the international forum, which attracted 5,000 participants this year. 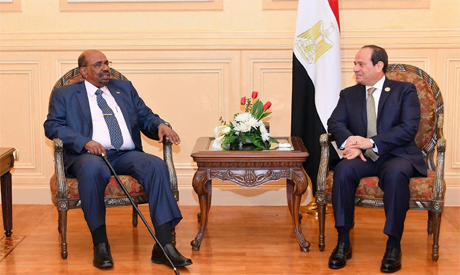 Earlier on Tuesday, El-Sisi spoke with Al-Bashir on bilateral ties on all fronts, which, according to Egyptian presidency spokesman Bassam Rady, comes in line with extending historical ties between the two countries. The talks reflected a strong will and determination to bolster ties, according to Rady.